A natural horse supplement with Citrus and Rooibos. A blend of herbs to nutritionally help horses maintain a smooth, shiny, healthy skin. 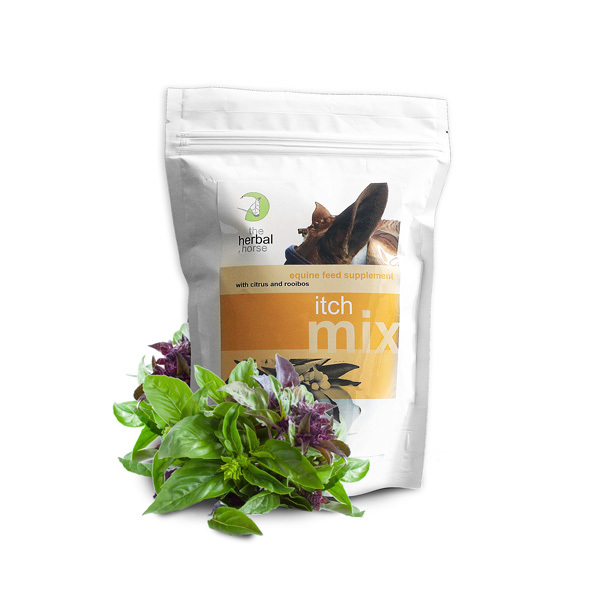 I have been using Immune Mix, in conjunction with Itch Mix on my WB gelding. He arrived from JHB as a 4,5 year old stallion in October to the heat of the lowveld. A month later he was castrated and lost a lot of condition as well as developing bad itchy skin, rubbing himself raw in places. His first summer was bad and I started him on Immune Mix initially, then added Itch Mix a few months later. We are just through his second summer and I have a shiny, happy horse. He still rubs himself on trees in his paddock, but has not had any raw patches like last year. I have had his blood tested and he is allergic to Dust Mites and the pollen from Cynodon Dactylon, so with these products, I’ll manage his allergies during summer.